The last PPC campaign I analysed in the ‘Analyse A Real PPC Campaign’ series came from Elfster, who was targeting users wanting to buy a Secret Santa gift. On the whole, both the search advert and landing page were good which overall gave the impression of a very well designed PPC campaign. With Christmas just a few days away, now is the time to see what type of PPC campaigns appear for when the web user searches to buy a gift. Therefore, without further ado, here is an analysis of a PPC campaign from PrezzyBox. Straight away, what is most interesting about PrezzyBox is that they appear organically ranked #1 for this crucial keyword anyway. From clicking on both the top link and the PPC link, the landing page is exactly the same. Therefore, this strongly suggests that the main reason PrezzyBox have made a PPC campaign for a keyword search phrase, for which they rank the highest for already, is to ward off and compete against the others in paid search results. 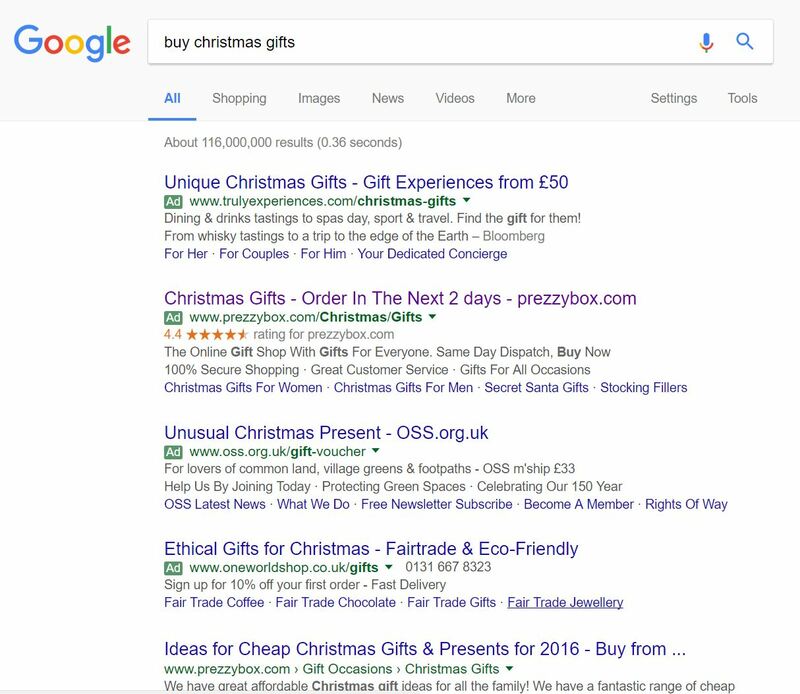 If PrezzyBox did not have a PPC campaign for this search phrase, they would have been losing a lot of critical traffic to key competitors – Christmas only happens once a year and is the time most businesses make the most amount of revenue. For this reason, PrezzyBox has no choice but to fund into competing for this search phrase, since the traffic is so profitable. It would have been better if they were ranked #1 of paid search results. But, the fact they have the ratings extension gives a bit of colour to their advert, which does set it apart from the rest quite nicely. It is clear this is a Christmas landing page, from the logo and snowflakes behind images – this will make web users stay on the page since it related to what they searched for. 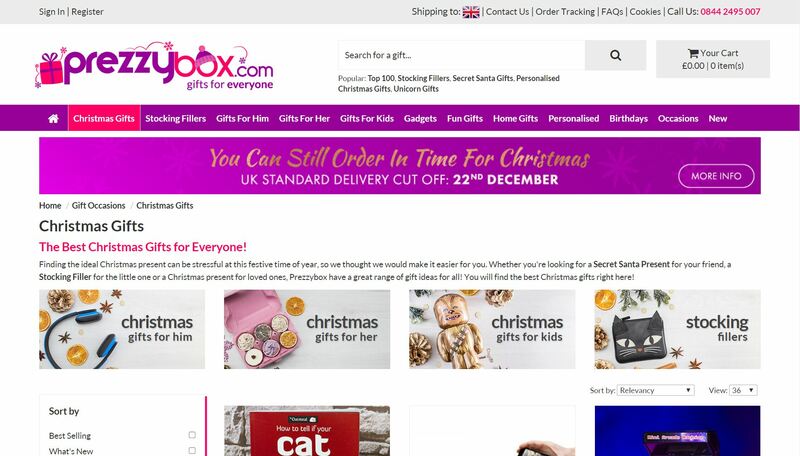 PrezzyBox addresses the ‘cut off’ time for delivery before Christmas which would have been the main concern for those buying gifts for Christmas so soon to the 25th (I viewed this landing page on the 20th). Therefore, this will give confidence to the web user that they can browse PrezzyBox knowing they will get their gifts, if bought from the site, before Christmas. PrezzyBox addresses everyone with this landing page, with gifts for him, her, kids and general stocking fillers. Therefore, no matter what type of gift you are searching for, you can find the right one for the person you are shopping for.